How does your organization remain relevant in a world where content is free, convenience is king and attention spans are fleeting? 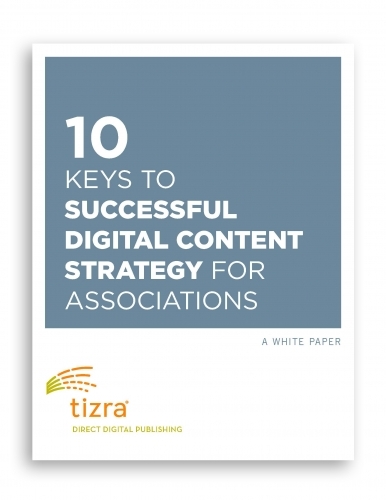 This white paper illuminates the key ideas and strategies for building more engaged membership, agility and discoverability from our experience working with professional organizations who have found practical solutions with staggering results for you to implement into your own website. Successful strategies from reputable organizations for you to learn and adapt to your community. "We had a long wishlist of features and no one else came close to nailing them until we found Tizra. I was astounded by the ease of getting content into Tizra... I could load a book in a matter of minutes. I was used to ebook conversions taking 2-6 weeks." © 2017 Tizra, Inc. All rights reserved.